Oklahoma Connection | Conn was born and raised in Ada, Oklahoma. Jack Conn helped conceive one of downtown Oklahoma City’s legendary landmarks: a half-mile network of underground tunnels that connect more than 15 major downtown buildings. Jack Conn grew up on a farm south of Ada and graduated first in his law class in 1940 from the University of Oklahoma. He practiced law with U.S. Senator Robert S. Kerr from 1940 to 1951, when he became president of Oklahoma State Bank in Ada. In 1965 he was invited by the Kerr family to become the chairman and chief executive officer of Fidelity National Bank and Trust of Oklahoma City and he held that position until his retirement in 1983. 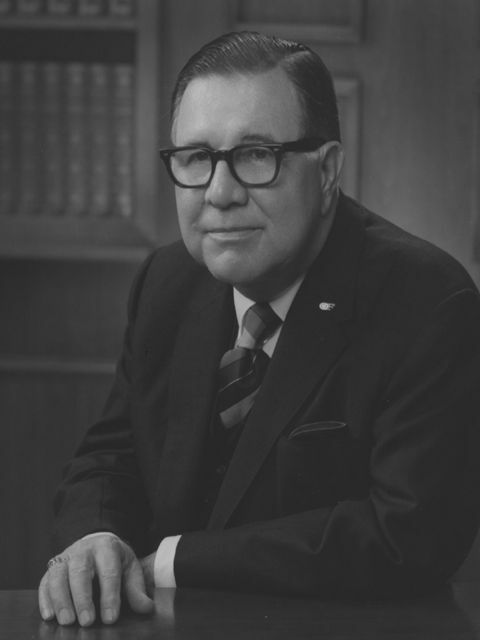 He was president of the Oklahoma Bankers Association in 1958, helped forge effective banking laws through the 1960s, served as president of the American Bankers Association in 1966, and was a trustee for Oklahoma City University. See pictures of Jack Conn and other media HERE.